high atop the Chase Building at D’amore. The color scheme was silver, icy white and blues. We used white birch trees around the tables. 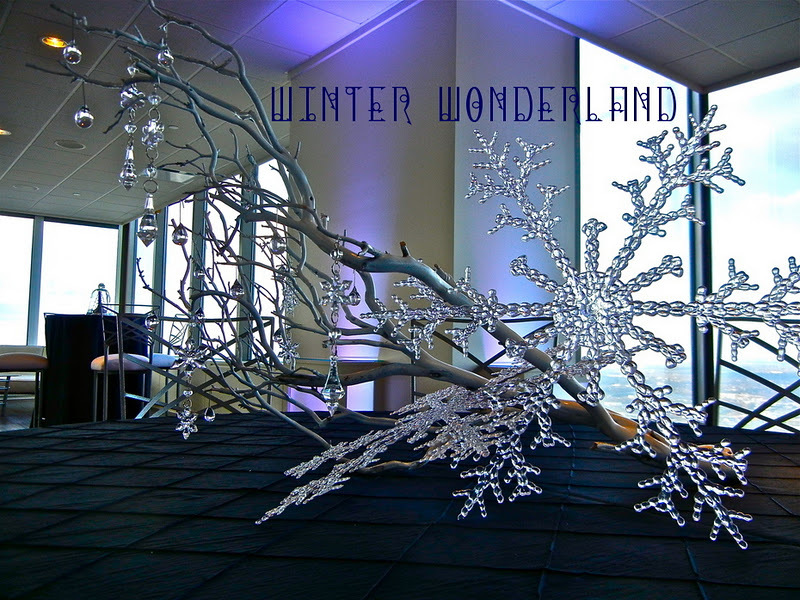 For the centerpieces we used white manzanita branches dripping with glass raindrops and snowflake crystals. The panoramic view of the city is breathtaking. I love how all of the windows and natural light made these snowflakes look like ice! This entry was posted in Snowflake Party, White Christmas Party, Winter Wonderland on December 22, 2011 by Setting the Mood.